Another Hallow’s End has ended. I thought, with my luck getting the Brewfest Ram after 8 years of trying, that elusive Horseman’s Reins would show up in my bag. Alas, year 11 has passed and no mount. As far as I know, only one guild member got the mount and he already had it. It was nice to see the Horseman encounter made a bit tougher for max level characters. 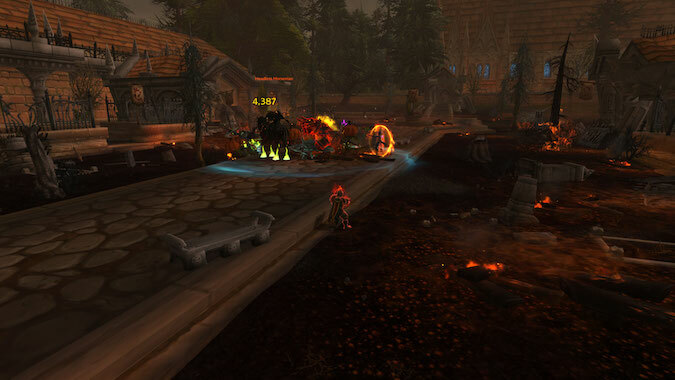 I have to admit, on that first day, several of my guild groups had some difficulty because we were all remembering how ridiculously easy the Headless Horseman has been in the past few years. It’s been so easy, we would have people who could queue as healers just queue but do DPS as “healing is for noobs” — but you actually had to heal this year. The ilevel increase in the rings was exceptionally nice for alts and those people who have meandered through content and were new to max level, though it would be very nice if the rings could be sold to a vendor for a copper. It’s demoralizing to type “delete” into the box when you don’t have a toon or a guild members who can use them. I have a lot of toys but I’m thinking the Headless Horseman’s Hearthstone is now my second favorite after the Trans-Dimensional Bird Whistle. I have to say that I don’t really participate much in the holidays because I have the Violet Proto-Drake — I know there are new battle pets and new toys, but I’m not all that interested in collecting everything. Then, I saw a guild member hearth using this and — well — I spent an evening hitting candy buckets to collect treats. This is so cool. I’m not changing my hearthstone any time soon. Unfortunately, if you didn’t nab it — like my eternal quest for the mount — you’ll have to wait until next year. Could we have this as a mount, please? At one point, I had four brooms in my bags. Remember when the time they spent in your bags was equivalent to game time? 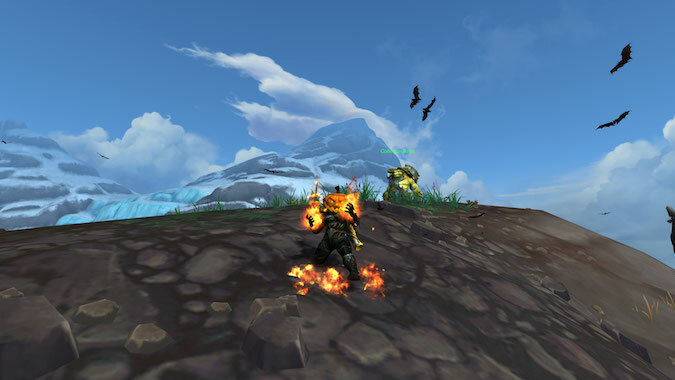 If you got a broom on a little-played alt, you could ride around in January on your Hallow’s End broom. Sadly, that ability has been removed. I would do a quest line during Hallow’s End — even over a couple of year’s of Hallow’s End — if it meant I could have this broom as a permanent mount. We did broom races in Elwynn Forest but my mind boggles at the sheer number of crazy screenshots I could get with a broom mount. How about a two-seater broom? 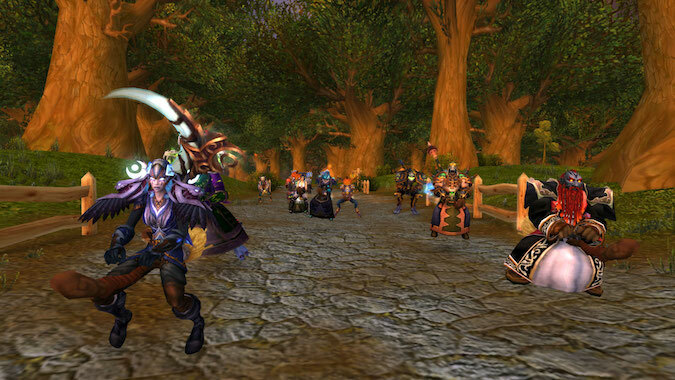 How did your Hallow’s End go? Did you save up for the toys or the battle pets? I probably should have saved for the horse pieces. Those are always good for crazy screenshots. Did you get the mount? Maybe I don’t want to know that you did. I do have more wands in my bank than I started out with. These will come in handy over the next year at guild events.